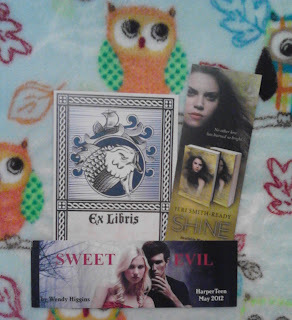 Book Bird Reviews: Bookmark and Bookplate Giveaway! 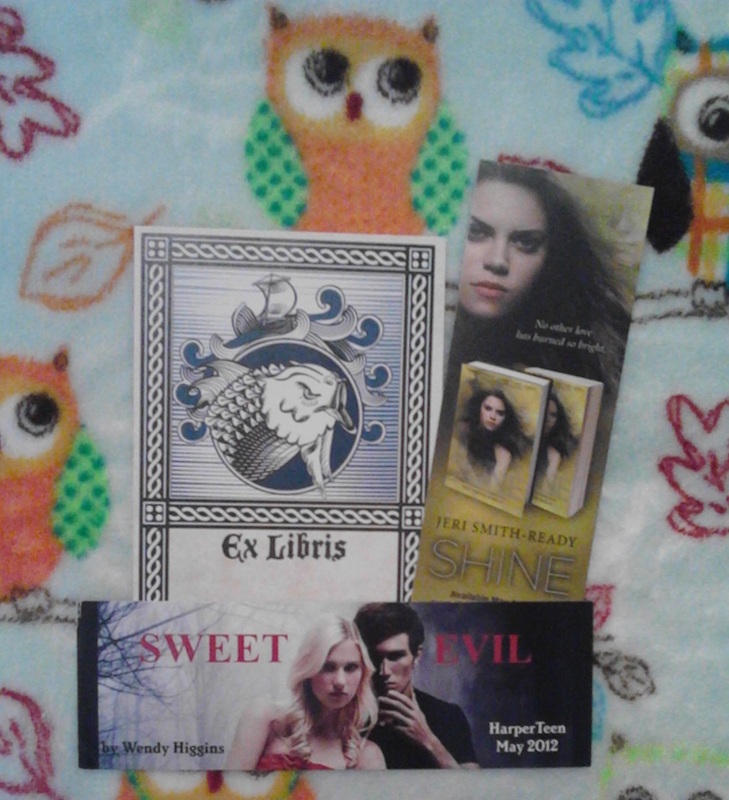 This will be my first giveaway ever and it will be super small (sorry) but I hope that you'll enter! I will be checking entries so no cheating! Ugh. That's a really hard question. Hmm. For my birthday I got this homemade bookmark from someone which I loved! And also this box with different arcs in it which I hadn't expected at all! 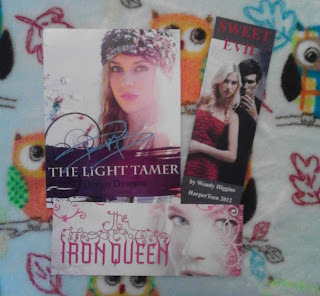 A signed ARC of, Of Beast and Beauty from Stacey Jay. Authorgraphs from Colleen Hoover and Jennifer L. Armentrout.